There are new data protection regulations (GDPR) in force as of May 2018, they are designed to strengthen your privacy and protect your personal data. Under these new regulations we are required to inform our clients that any personal data that is given to us will be kept confidential and stored on a web-based system which is password protected. 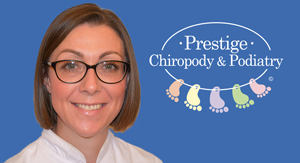 This data will only be used for clinical reference or by Prestige Chiropody and Podiatry staff to contact you if needed.